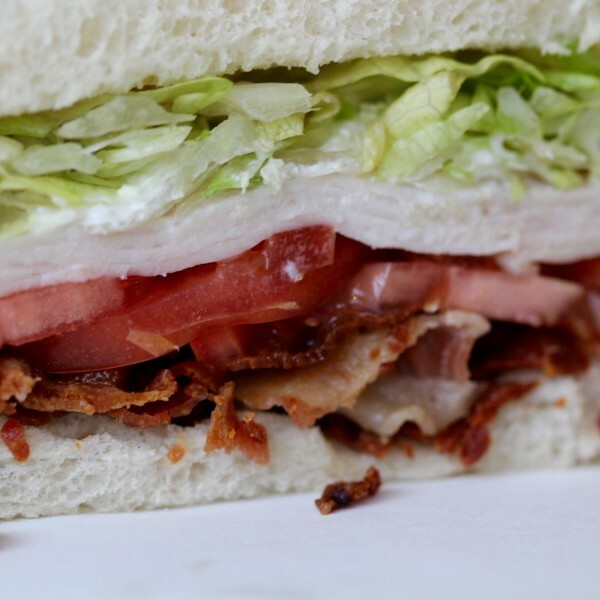 Good old fashioned Bacon, Lettuce and Tomato (BLT), with Turkey and Mayo added! An ACME local favorite. 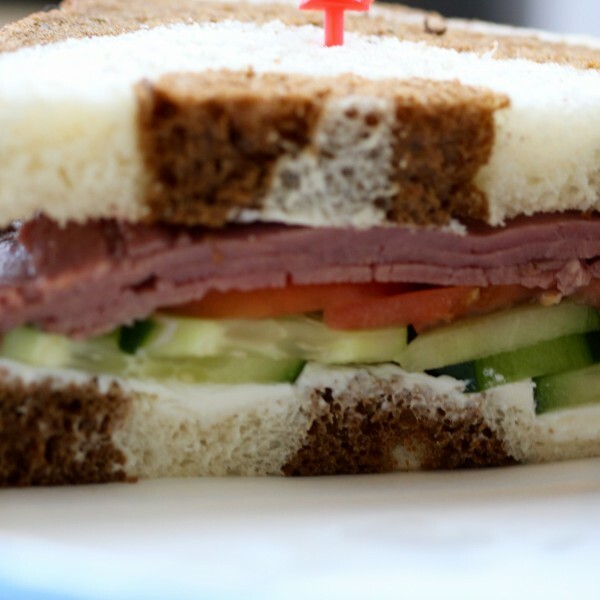 Who would of thought roast beef, cream cheese and cucumbers would taste so good? We did! 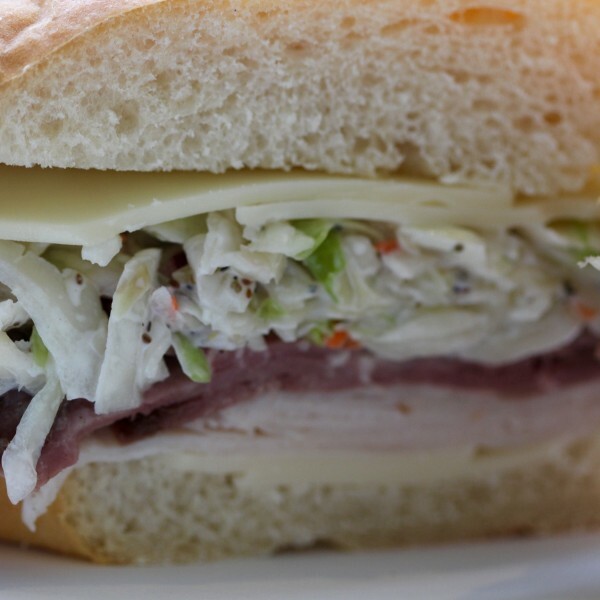 Yes, this sandwich has two different meats and coleslaw. Trust us, it tastes great! 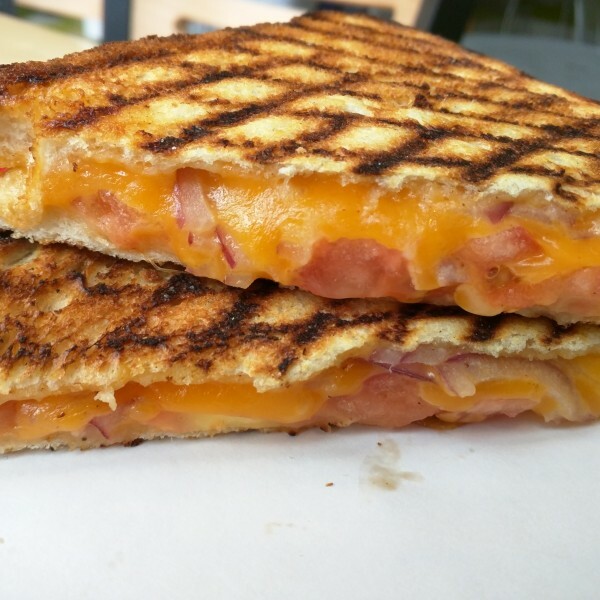 Who doesn't loved melted cheese in a sandwich? 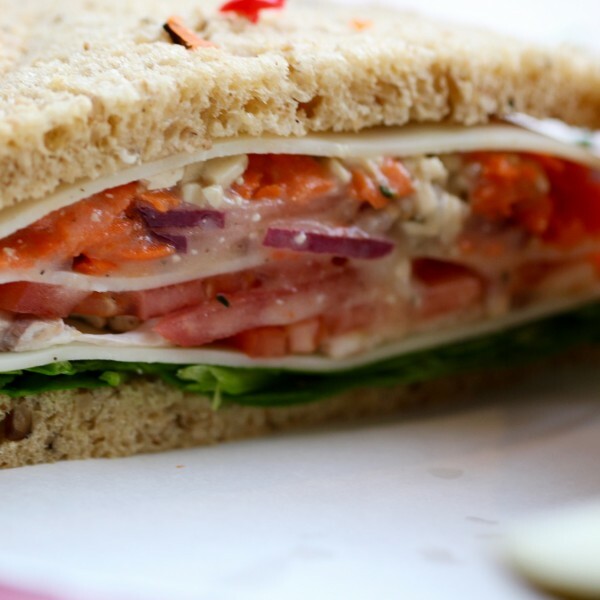 Do you like vegetarian sandwiches? This one is for you, filled with baby spinach, carrots, onions, mushrooms, tomatoes, and mozzarella on wild rice bread with Greek salad dressing. 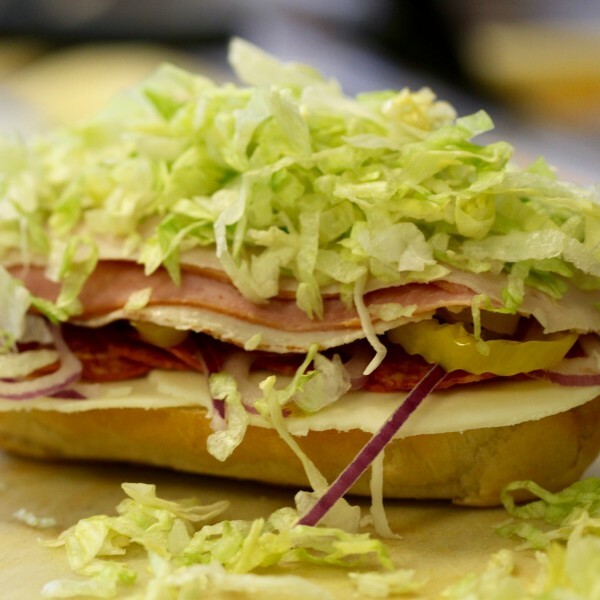 Our Italian Sub is loaded with ham, turkey, pepperoni, provolone, lettuce, tomato, onion, hot peppers, and Italian dressing served on a Hoagie Bun. Eat it all and you will be full for the rest of the day! 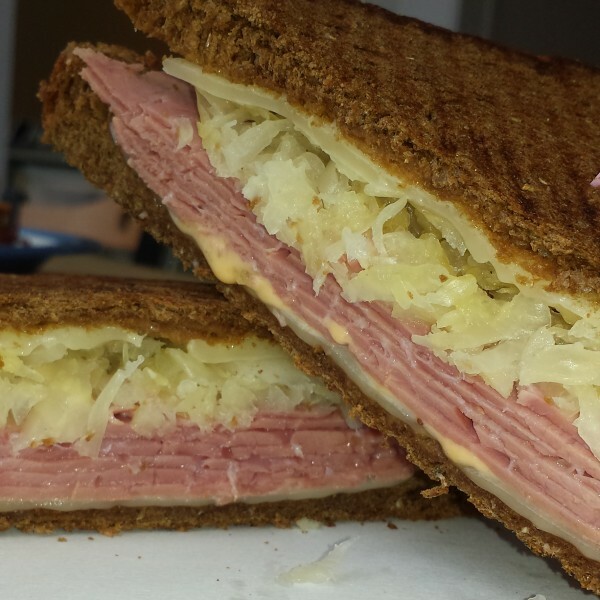 Corned beef, Swiss cheese, sauerkraut, Russian dressing, on pumpernickel bread - heated up panini style! 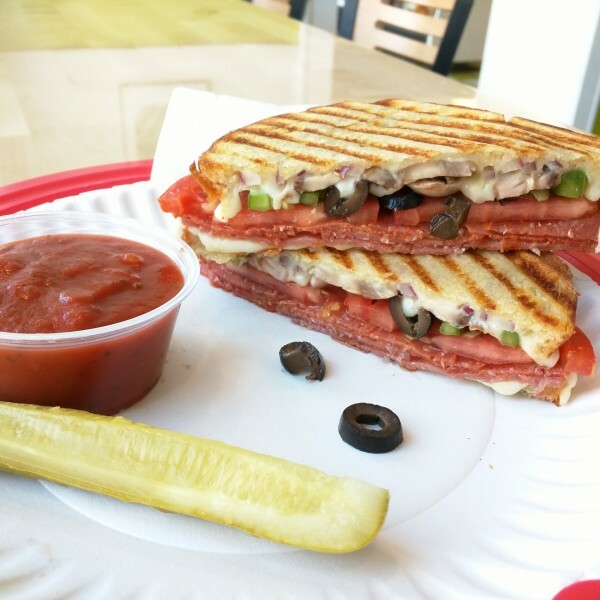 A panini packed with salami, pepperoni, mozzarella, tomatoes, onions, mushroom, green peppers, black olives, on White Vienna. 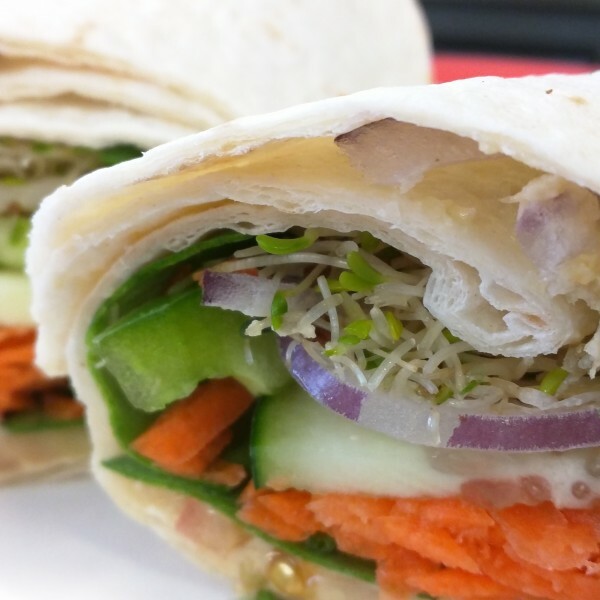 A tortilla wrap packed with hummus, spinach, sprouts, green peppers, tomatoes, onions, cucumbers, and carrots. 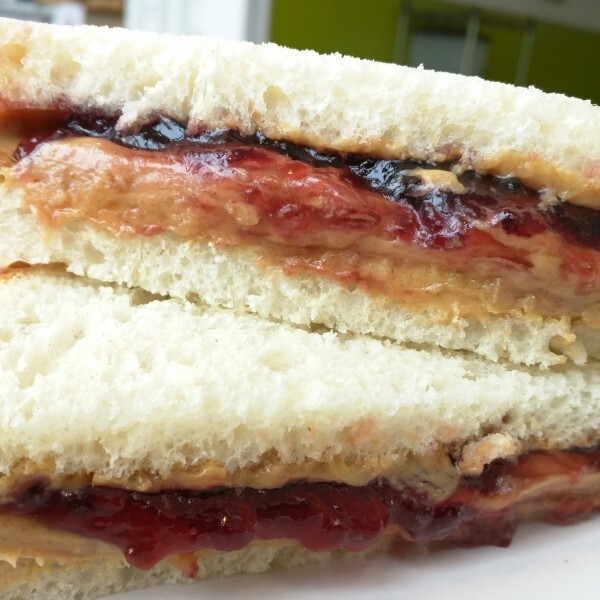 For all those little and big kiddos we have the old fashioned peanut butter and jelly sandwich! Want your sandwich customized? No problem! 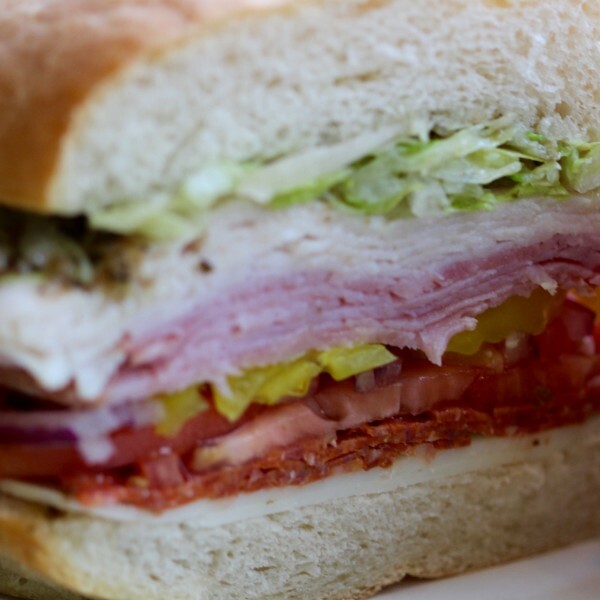 Just pick the bread, meat, cheese, and toppings and we'll put it together for you. Click here for the Build Your Own menu. 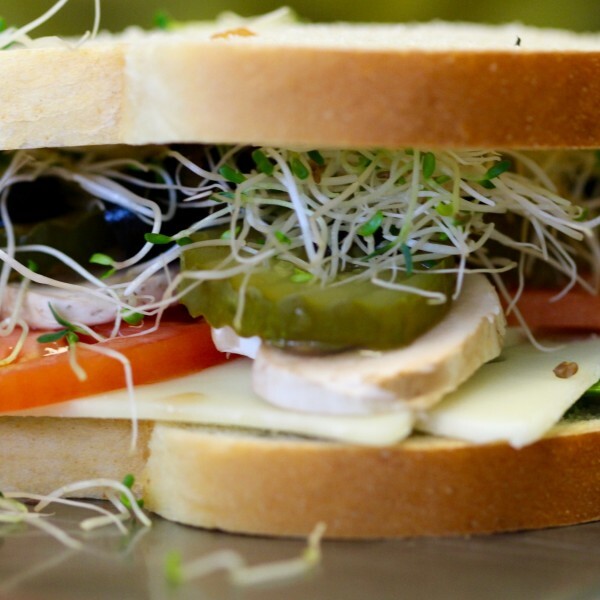 Want your sandwich customized? No problem! Just pick the bread, cheese, and toppings and we'll put it together for you. Click here for the Build Your Own menu. Hungry? 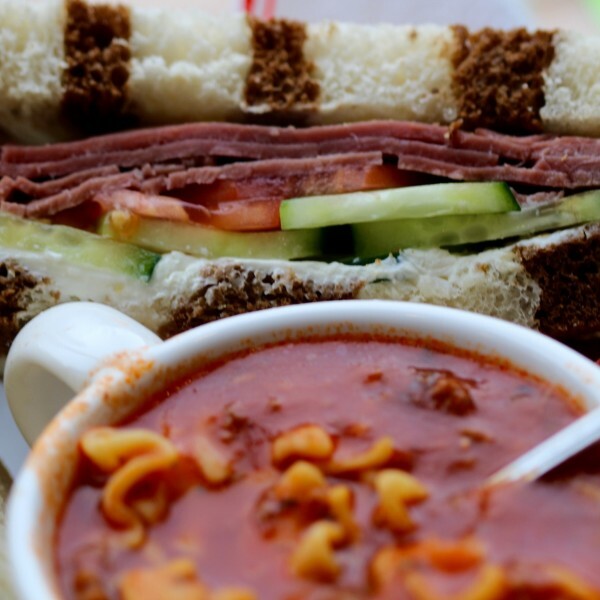 This bowl of soup and thinwich will fill you up for sure! Click here for the Build Your Own menu.